﻿Researchers have found the first new class of novel anesthetics since the 1970s. Their findings, published in the journal Anesthesiology, detail the processes through which the group uncovered these compounds. The team notes that the development of novel anesthetics has historically been a process of combined serendipity and empiricism, with most new anesthetics developed via modification of existing anesthetics. Propfol, the most commonly used anesthetic in the US, and the most recently developed (in the 1970s) was very much a product of empiricism. It was originally developed in the UK and shelved because patients were having anaphylactic reactions and reformulated to include soybean oil and water. 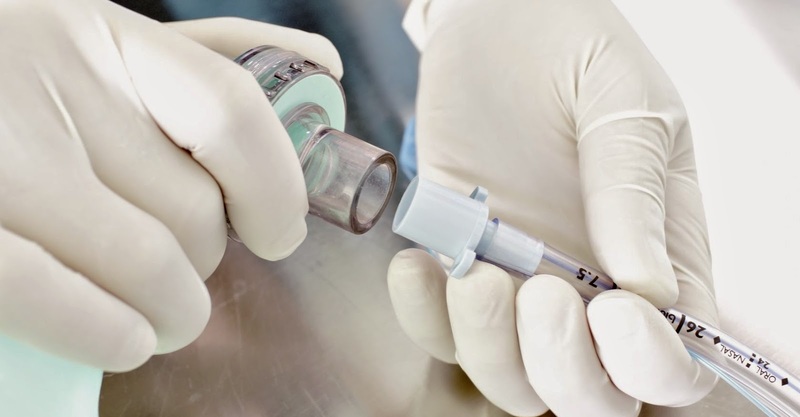 While it has been improved, propofol remains a highly potent anesthetic. However, the researchers believe new anesthetics are needed because current ones have a host of side effects that can be dangerous if not administered by trained specialists. In their study, the team first miniaturized an assay based on ferritin and a drug-like molecule they had previously characterized, aminoanthracene, to test the ability of more than 350,000 compounds to behave like anesthetics - at least in the test-tube. The team then had to validate that the "hits" from this assay behaved like anesthetics in an animal, not just a test-tube. This "secondary" assay resulted in two of the compounds being identified as effective and non-toxic anesthetics in mice, and both were of a novel chemical class, completely unrelated to any current general anesthetic. The goal of the researchers was to identify compounds with high potency, but low toxicity. However, this research is far from being available for humans. They emphasize that the primary conclusion of this work is that, "it provides a new approach to identifying novel anesthetics, and we now have at least two compounds that we can optimize and test further." Based on material from University of Pennsylvania School of Medicine.